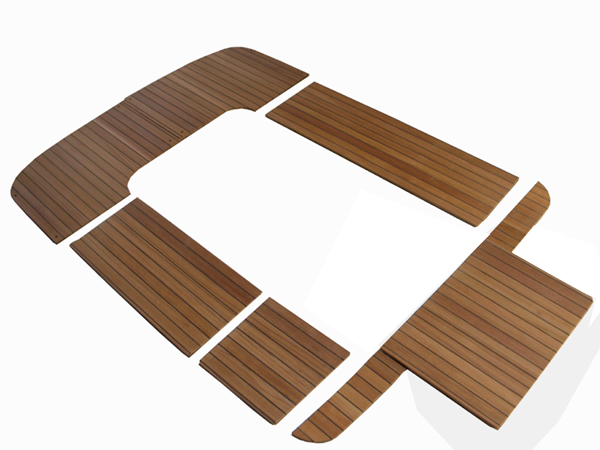 Our slatted panels are easy to install.They are made with burman teak slats which are 9mm thick, joined to each other by a black polyurethane joint, to give you waterproofness and flexibility.This way, the panels can adjust easily to the deck movements and the curved parts of the seats. 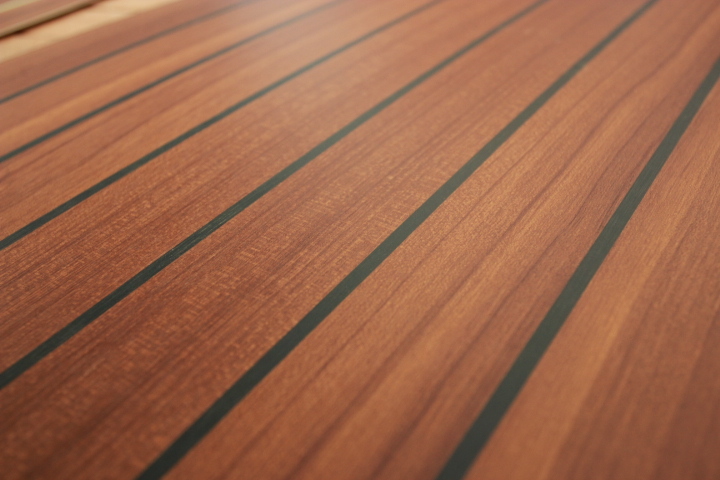 On polyester cockpits, the area to cover are generally made of non-skid surface with "diamond tip", with polyester strips visible around the areas. 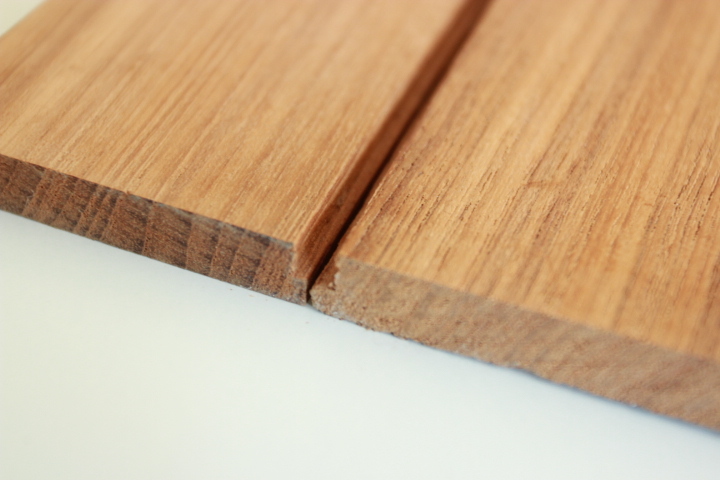 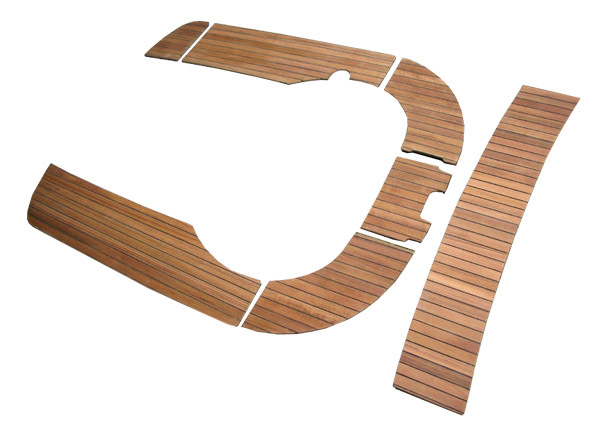 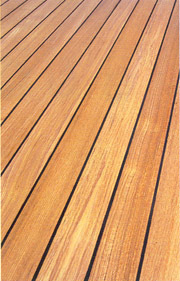 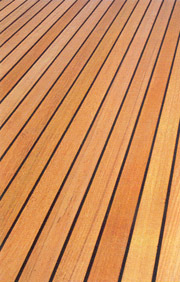 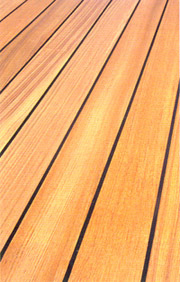 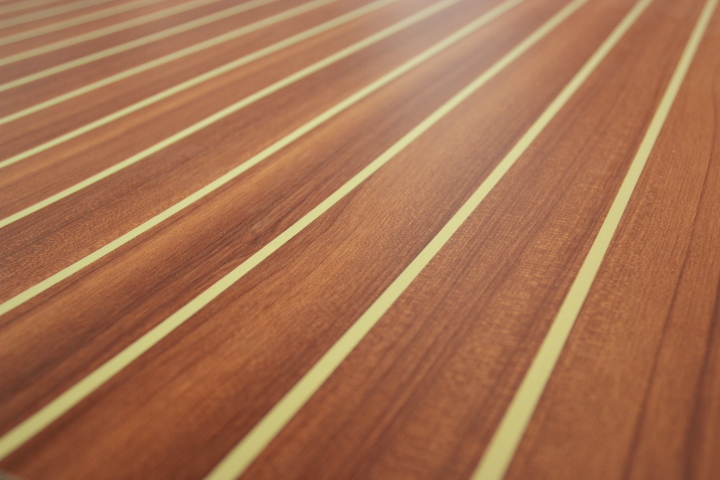 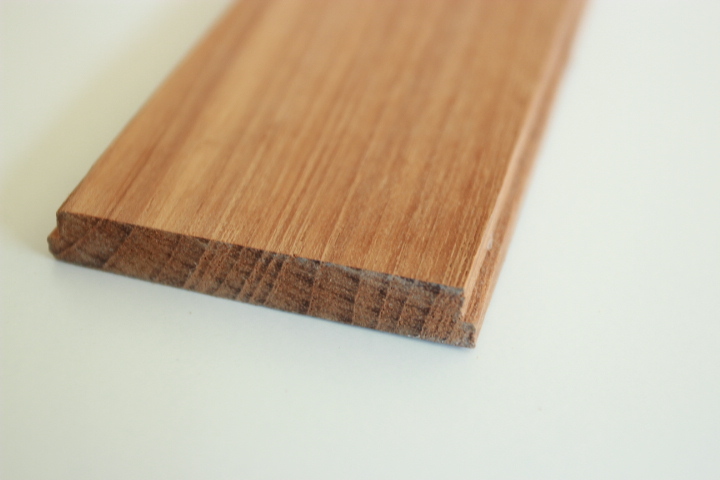 Unjoined teak slats can be used to make a frame around the teak panel, as done in traditional decking.